Interested in seeing where and when hurricanes might have affected commercial navigation or port activities around the world? 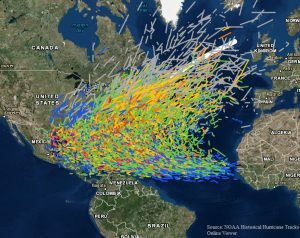 The NOAA Historical Hurricane Tracks online tool allows anyone to search and view storm tracks as far back as 1848. Only want the want to find the worst storms? Historical Hurricane Tracks website has filters that let users search by storm intensity, name, location, or other criteria. 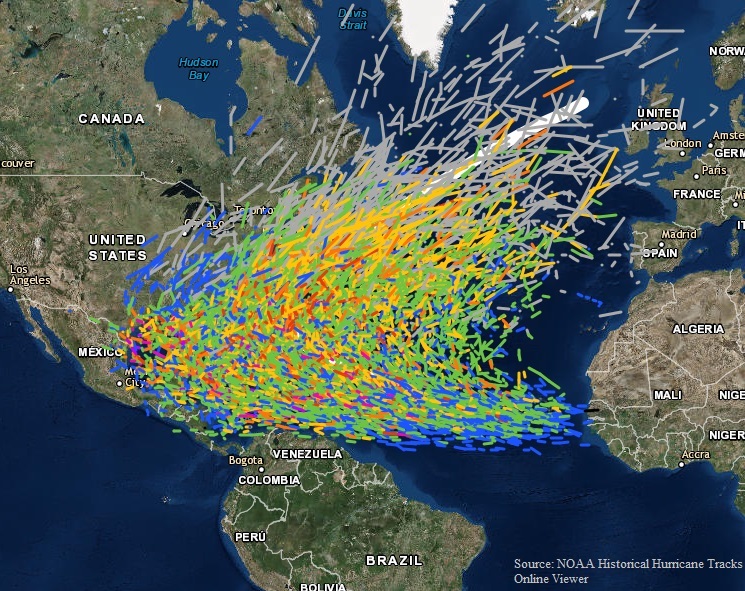 For people interested in port resilience, maritime history, economic impacts of hurricanes, or where marine transportation system infrastructure faces some pretty powerful weather challenges this dataset is a great starting place.